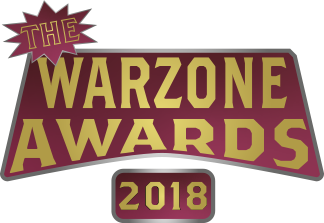 The Warzone Awards 2018 will be live on https://www.twitch.tv/cursonafun at 10:00 AM EST (UTC - 4 January 27th (tomorrow)! The show will run roughly an hour and 20 minutes. Following the conclusion, there will be an After Party, where we'll play a game on the Best Map, discuss/answer questions about the Awards, and more! If you're unable to watch live, don't worry it will be on YouTube (we'll edit this post later with link). Also, be on the lookout for a post-Awards survey! Also, good taste in music. This was amazing! Thank you guys! Thank you King C******* V and Bane, very cool! Wow, this was awesome guys. Thanks. No problem. We had a lot of fun making it. Thanks! Yeah make sure to uh like and subscribe or whatever.